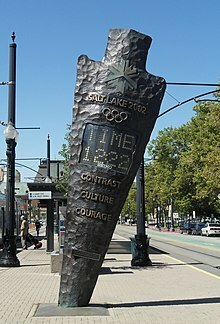 In February 1999, in response to the bid scandal and a financial shortfall for the Games, Mitt Romney, then CEO of the private equity firm Bain Capital (and future presidential candidate), was hired as the new President and CEO of the Salt Lake Organizing Committee. Romney, Kem C. Gardner, a Utah commercial real estate developer, and Don Stirling, the Olympics' local marketing chief, raised "millions of dollars from Mormon families with pioneer roots: the Eccles family, whose forebears were important industrialists and bankers" to help rescue the Games, according to a later report. An additional $410 million was received from the federal government. U.S. Federal subsidies amounted to $1.3 billion, compared to $45 billion of federal funding received by the Sochi 2014 Organizing committee from the Russian government. 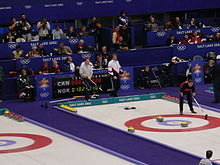 The Games were financially successful raising more money with fewer sponsors than any prior Olympic Games, which left SLOC with a surplus of $40 million. 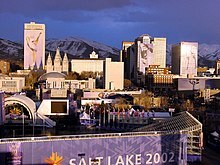 The surplus was used to create the Utah Athletic Foundation, which maintains and operates many of the remaining Olympic venues. ^ a b c International Olympic Committee (2002). Marketing Matters (PDF). Retrieved October 20, 2010. ^ Johnson, Kirk (September 19, 2007). "In Olympics Success, Romney Found New Edge". NY Times. Retrieved August 31, 2012. ^ Jim, Rutenburg, "Mormons’ First Families Rally Behind Romney", The New York Times, web pp. 2 & 3, July 16, 2012. Retrieved July 17, 2012. ^ Karl, Jonathan, , "EXCLUSIVE: In '02 Romney Touted D.C. Connections, Federal Funds", ABC News, web pp. 1, March 2, 2012. Retrieved July 27, 2012.